Back in March, I think, I ended up pre-ordering this figure, after seeing some of the official photos posted online; I thought it looked rather splendid and decided that I had to have one. I thought it was a tad expensive at around 10,000 yen, but it's slightly bigger at 1/6 scale, whereas many other figures are 1/7, so I decided to order it anyway. It arrived in August and here's my review... A little late I know. Sorry about that! Here's the box and its contents. 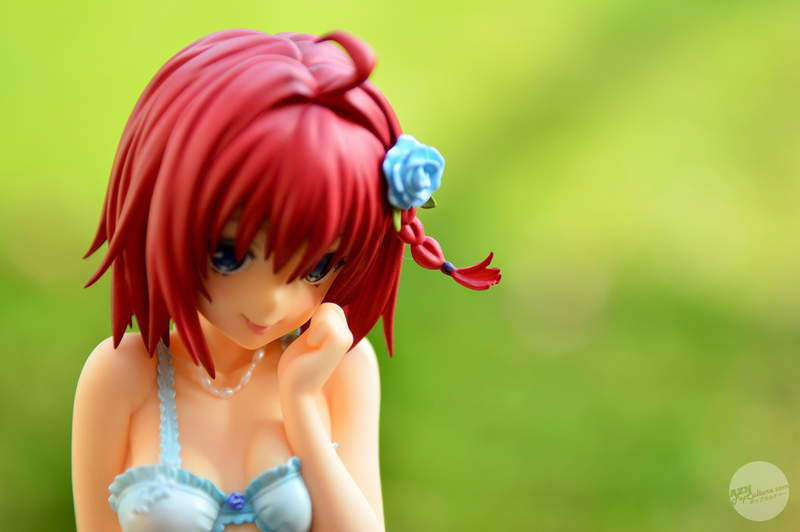 This was the first time I had ordered a premium figure, well, apart from the Alisa Bosconovitch Bishoujo Statue by Kotobukiya that I wasn't happy with and so returned. All of the others I'd so far purchased had been prize figures. The first thing I noticed after I'd received this figure, was the quality of the box. It just felt nicer than any of the previous ones I had purchased; better quality card, and more fancy printing. Upon removing the figure from the box, it was clear to see why the prices differ so much; the figure itself is very detailed, from the little bows and frills, to the tiny necklace around her neck. The character Mea Kurosaki comes from the manga and anime "To LOVEru Darkness", which I know absolutely nothing about, other than that it's a sequel to the original "To LOVEru", having never seen or read any of it. I just liked the character design of this figure. For more info on the character, here's her wiki page. Out of the box, there's not much to assemble. 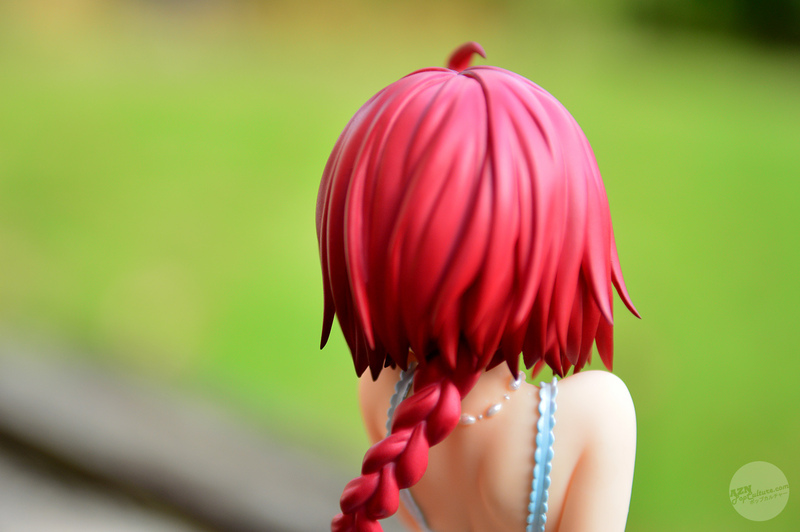 The end of her ponytail slots onto her long plaited hair (although I have a feeling this may have already been glued in place, but has since come loose), and as with most standing figures, the base attaches to one of the feet. There are a lot of nice little features to this sculpt; as mentioned before, the small details on her scant clothing, such as the small bows at the top of her suspender belt. 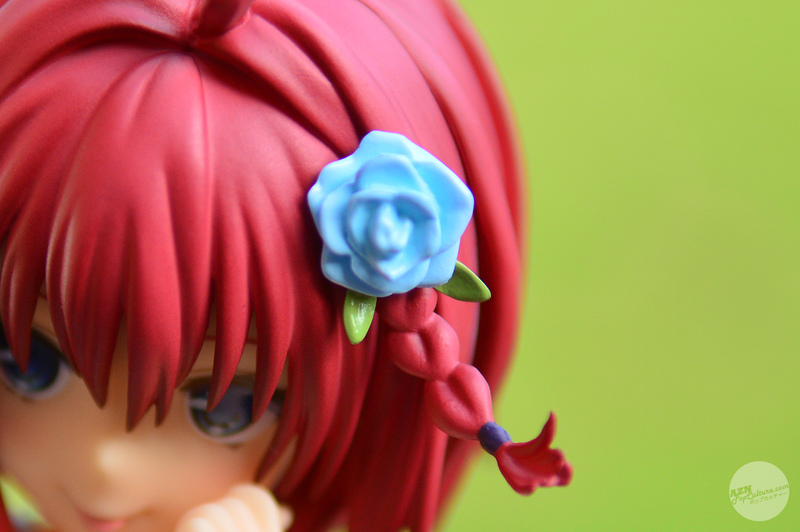 There's also a nice blue flower in her hair, and another tiny one at the centre of her chest. The use of translucent PVC for the top of the suspender belt is a really nice touch, making the figure seem a little more delicate than it actually is. The hair is also nicely done, with her long plait curling down, wrapped around her left leg. There is some pleasantly subtle shading, and the end of ponytail has a lovely swooshing effect to it; a real dynamic look to an otherwise fairly static looking figure. The overall shading is well done, giving the impression of a soft blue material that perfectly complements the detailed frills and patterns of her lingerie and stockings. The sculpt, in this regard, is excellent. Another thing with this figure, is that there are absolutely no mould lines whatsoever! A lot of figures have the problem of having some quite unsightly seams appearing down the sides of their arms and legs, and can also be particularly bad in the hair. Not so with this one! There's not a scraggly line to be seen, even on close inspection. The pose is fine; subtle, and nothing too exciting, aside from Mea's coy and playful expression, with her tongue sticking out, and her gentle tug at the rear of her underwear. The hair too, suggestively wraps around her left thigh. Overall, this is a lovely figure, with a very lightly coloured palette, giving the figure a dainty and delicate feel. 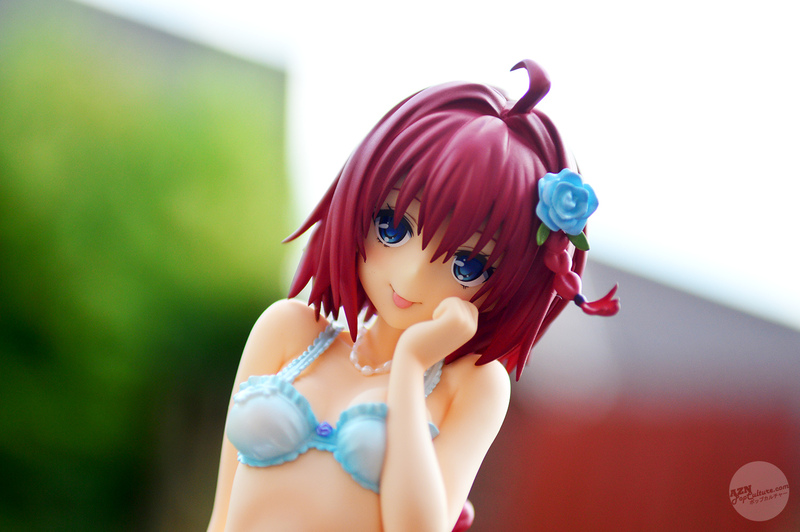 If you're a fan of "To LOVEru Darkness", or just appreciate superbly sculpted figures, then you should definitely buy this!